While catching up on some genealogy reading, I discovered Amy Johnson Crow’s blog No Story Too Small: Life is Made of Stories. In January she challenged everyone to take the 52 Ancestors in 52 weeks challenge. I’m a little late but have taken the challenge! 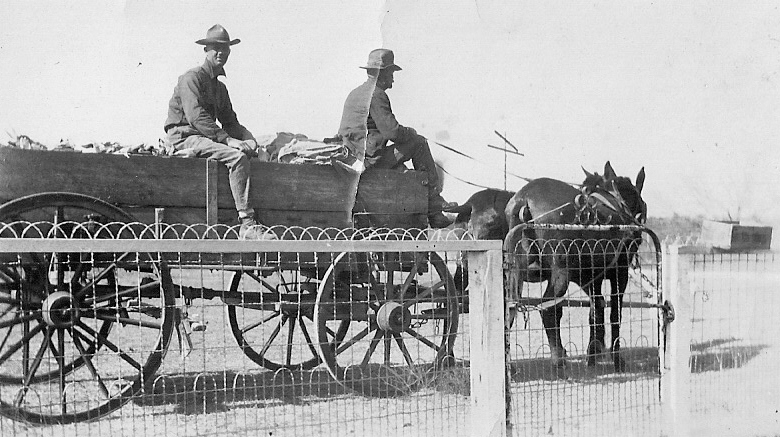 In 1911 at the age of 18, Willie purchased 240 acres from his father, Julius Adam. He bought the land for $3000.00 with $500.00 down and a balance of $2500.00 to be paid in fifteen years with 6 percent interest. The land was just “across the field” from his parents on the San Antonio-Fredericksburg Road, old Highway Number 9. The back side of the property ended at the Balcones Creek. According to family stories, the property included a two-story house which needed repairs. Julius purchased this property from George N. Lytle and his wife in 1909. Willie raised on his parent’s farm was a hard worker. My guess is he wanted his own place but that’s a lot of land and debt for an 18-year-old. His experience working on his parent’s farm to market farm must have helped him. Willie pursued farming until he was drafted in 1918 and was sent to France. 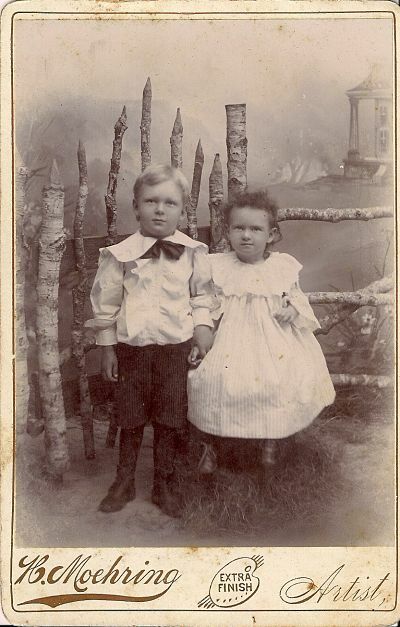 Upon his return, he married Lillie Katherine Schuetz from Kendalia on 7 June 1919. Willie repaired the house, removed the top story and made it ready for his new bride. 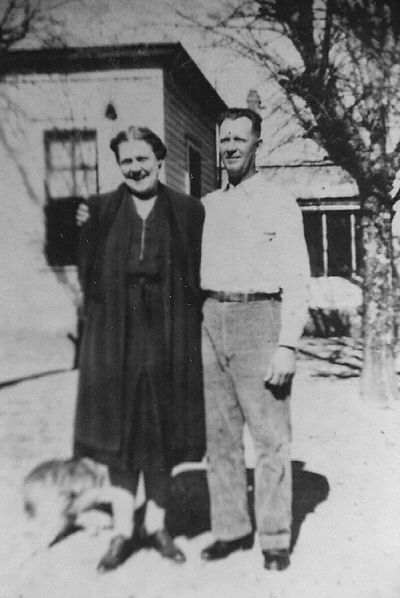 Together Willie and Lillie operated a farm-to-market and dairy farm until 1955. Kendall County, Texas, Deed Book 27 p: 48-49, Willie Adam and Julius Adam, 21 December 1911; County Clerk’s Office, Boerne. Kendall County, Texas. 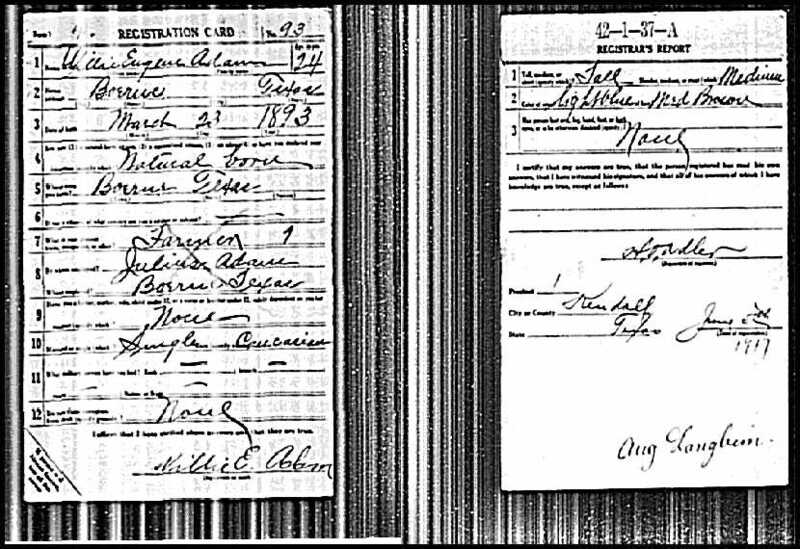 Deed Book 27: 48-49, Julius Adam and Willie Adam, 11 December 1918; County Clerk’s Office, Boerne. Julius is driving the wagon loaded with corn. Willie looks like he is enjoying the ride. Picture taken outside the yard of the Julius Adam home in the Balcones Community. 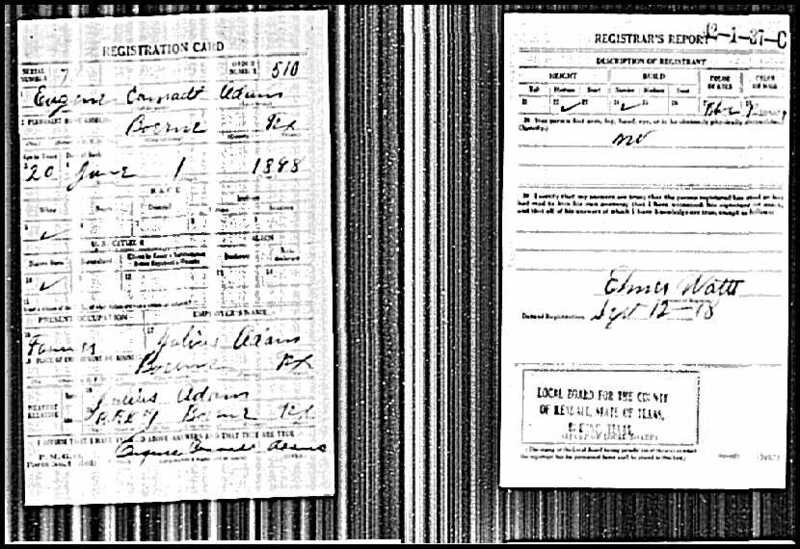 World War I Draft Registration Cards are on file at the National Archives and Records Administration in Washington DC. If a trip to Washington DC is out of the question, you can subscribe to Ancestry.com and read them any time. The copies are not the best but still readable. 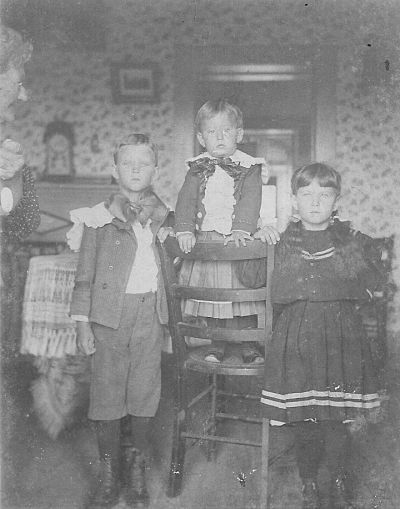 I searched for my grand-uncle Eugene Conrad Adam and my grandfather Willie Eugene Adam. I have transcribed as much of the hazy blur as I could. (Boerne, Kendall County, Texas). Willie E. and Lillie K. Adam marker; personally read 2011.